Duncan Pryde, an 18-year-old orphan, ex-merchant-seaman, and disgruntled factory-worker left Glasgow for Canada to try his hand at fur-trading. 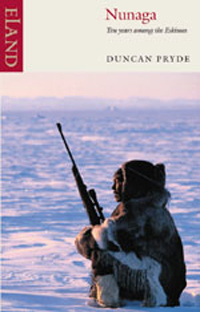 He became so absorbed in this new life that his next ten years were spent living with Eskimos. He immersed himself in their society, even in its most intimate aspects: hunting, shamanism, wife-exchange and blood feuds. His record of these years is not only a great adventure-story, but an unrivalled record of a way-of-life which, along with the igloo, has now entirely disappeared.